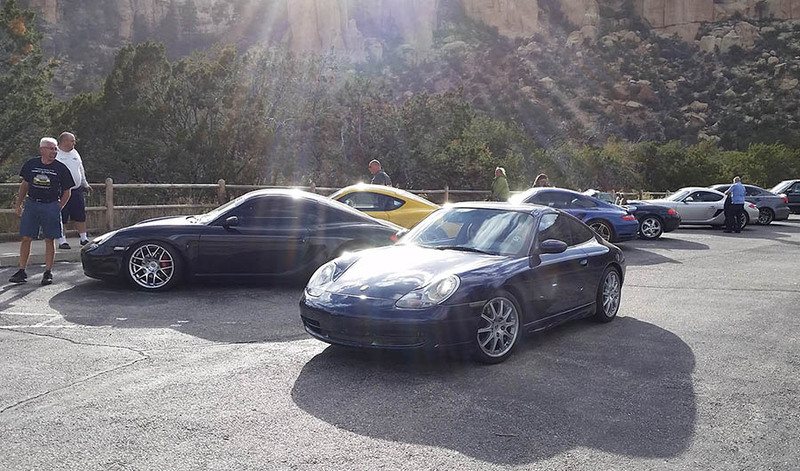 The early-Fall weather was splendid for the October 11-12 driveout, and the small group of 11 club members in seven cars seeking two days of fahrvergnugen were keen to start early on Saturday. Three other cars were unable to make it due to last minute issues, and they were certainly missed. Together in TorC before the mountains begin. Heading south on I-25 we stopped in Socorro and Truth or Consequences then turned west toward our far off destination and the first mountain section. Unfortunately just out of Hillsboro the road was closed due to a road washaway caused by recent heavy rains. Undaunted we turned at Hillsboro and headed for Silver City via Deming. The added miles made for a longer day, but everyone took it in stride. 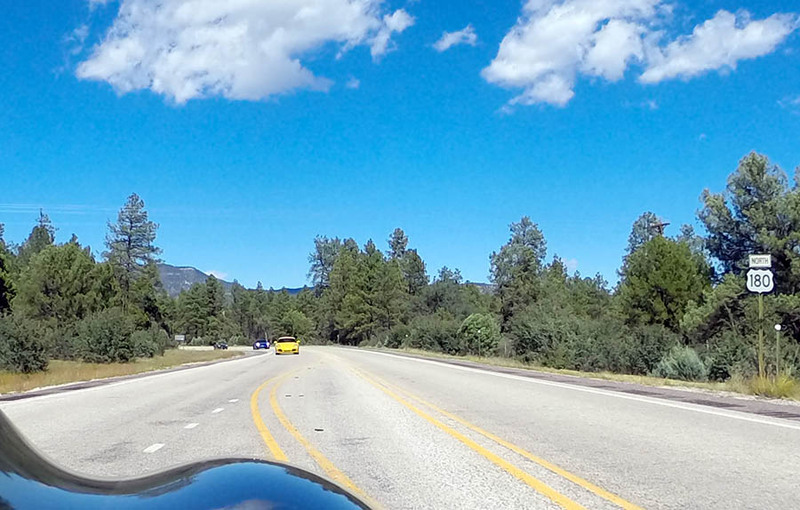 A hearty lunch was provided at the Jalisco Café in Silver City, then we headed up to take Highway 78 into Arizona–our first real taste of “Porsche country” and driving pleasure. Toward the end of this road there’s a section where it descends the crest of a ridge: you can see the road winding along the top of the ridge, drop-offs on either side, as you push for a little more speed…wonderful! Our detour led to concern we would be late for dinner, but fortunately Arizona is an hour ahead of NM and we had ample time to get ready and walk to dinner at the Copper Steer Steakhouse. Not a place for vegans… After a long day and great food, everyone headed back to the hotel for rest and recovery. The real driving was still to come! Everyone was raring to go come Sunday morning and we made good time out of Safford toward the largest open-pit copper mine in North America at Morenci. 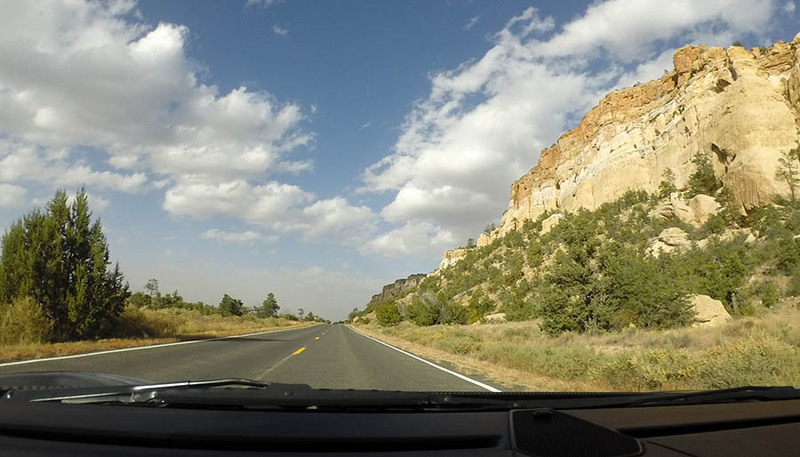 Although Highway 191 starts quite a bit south of Morenci, the real driving pleasure starts as we leave the mine overlook. At the Morenci copper mine overlook—the “start” of Hwy191. Highway 191 begins with tight turns, too many to count. It’s easy to imagine there are hundreds of turns in the 90 miles to Alpine where we turn back into New Mexico. 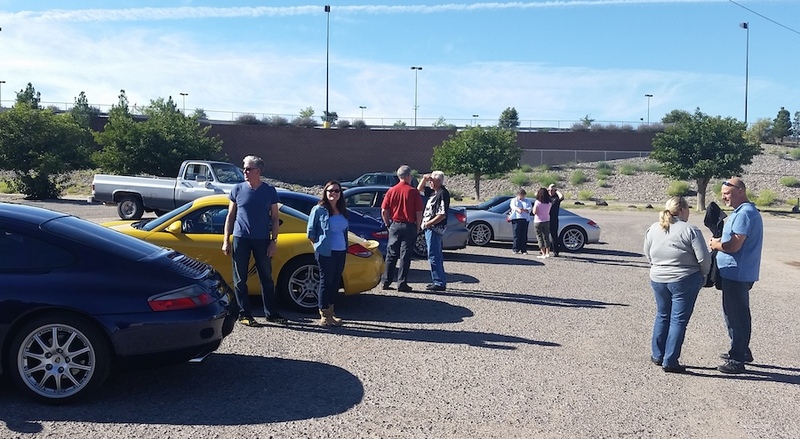 The group stopped three times, to catch our breath and share the joy of pure Porsche driving pleasure. Another stop for the group on Highway 191. Back in NM we lost an hour and had a late lunch at Ella’s Café. Green chile cheese burgers pretty much all round, and although the electricity went out throughout the town, the gas was still burning on the grill. 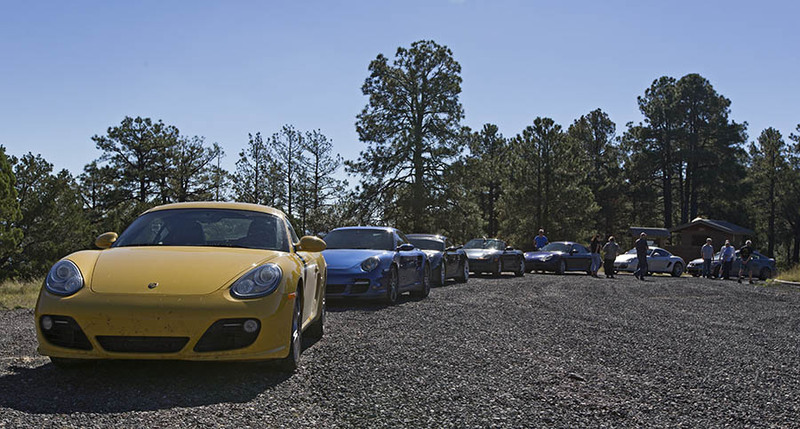 After lunch the parade of Porsches headed north through Quemado and the El Malpais to finally meet the Interstate. 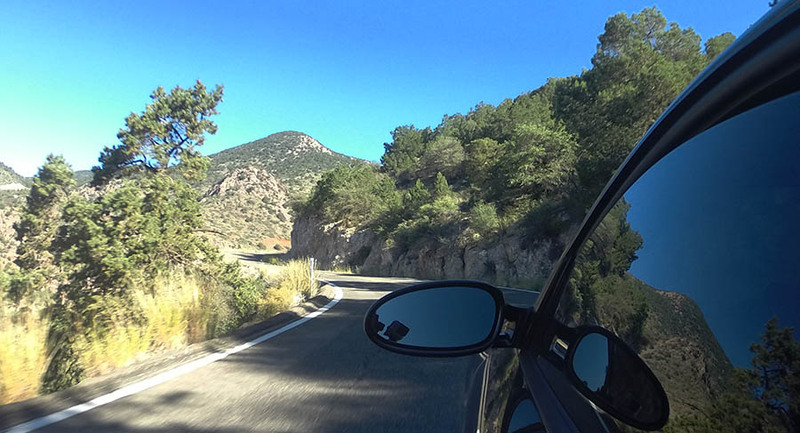 Every participant and car returned home safe, after two days and 800 miles of great weather, wonderful driving and the best of PCA companionship. Like they say about shampoo: wash, rinse, repeat – we’ll be doing this again in 2015! Read more about the route of this drive out here.